What is 'Sushi Grade' fish - And where to get it? "Making sushi at home may require buying and handling raw fish. The guide below can help you through what you will need to know in order to do it yourself." What is ‘Sushi Grade’ fish? Sushi is a healthy meal when prepared and served properly. 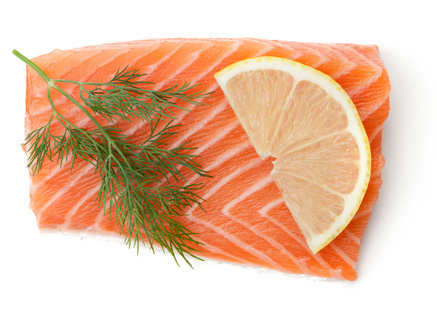 When serving raw fish in Sushi or Sashimi, make sure the fish product is safe to eat raw. This is commonly stated by the supplier as “Sushi safe” or “Sashimi safe”. 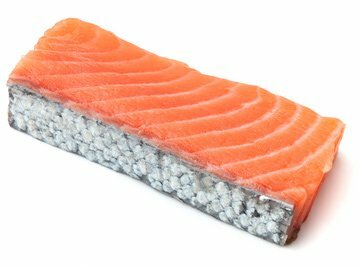 If the packaging does not state it, consult your fish supplier before consuming it raw. Also note that pregnant women and health risk groups should not eat raw fish at all. According to European Union regulations,freezing fish at −20°C (−4°F) for 24 hours kills parasites. The U.S. Food and Drug Administration (FDA) recommends freezing at −35°C (−31°F) for 15 hours, or at −20°C (−4°F) for 7 days. For further reading, please read: Wikipedia: sushi – health risks. Where can I get sushi grade fish? Vital choice offers A variety of sushi grade products, safe to eat raw. Click the image below to get to their online store where you can purchase sushi grade fish online. The products are delivered fresh-frozen. Just before you order, check the details on the “Serving/Storage” tab on the product page, to make sure the fish/sea food product you selected is indeed safe to eat raw. Catalina Offshore Products has been selling the finest seafood to fine dining restaurants and sushi bars for nearly 40 years. You can purchase the very same. THE FISH SOCIETY, features sushi grade products such as: salmon fillets,smoked salmon, smoked eel fillets, smoked rainbow trout, Arbroath smokies, and kippers and more. Delivery is by overnight parcel service. Orders leave us at 4pm and are delivered within 24 hours. We use thermo-proofed packaging and dry ice to ensure the fish stays in top shape and can simply be dropped into your freezer upon arrival. All packs are neatly labelled and marked with a use-by date. Kazari.co.uk is a one-stop shop for those wanting to make home sushi in the UK. After being told by almost every fishmonger in the UK that their fish was sushi grade, the Kazari team had their doubts. This led to a lot of hard work from which Kazari was born in early 2012, specialising in sourcing the highest quality fish and sushi ingredients for online home sushi. Traditional sushi makes use of only a limited number of ingredients, it is therefore imperative that each ingredient is of the highest quality. We are only interested in the highest quality sushi grade fish and sushi ingredients available. This is why we are some of the first retailers to offer fresh wasabi from Asia, perfectly reared Hamachi from Japan and tender red snapper caught in Sri Lanka all delivered nationwide in under 24 hours. We are also proud members of the National Federation of Fishmongers. Consult your local fishmonger regarding availability of Sushi and Sashimi grade fish. Please let us know where you buy your sushi grade fish in the comments below ! I love your site. It offers such a variety of information and advice on sushi. Can you elaborate on the “myth” that “sushi grade” fish is just a marketing approach to sell at a higher price and any pre-frozen high quality fish will offer equal results/satisfaction? I’ve always loved this sushi grade fish. Thank you for the recommendation on where to buy it in the UK. Will be making a trip there soon. I just learnt something new again. This is just my go to website for anything about sushi. Thanks always! I recommend freezing it to be safe. Parasites often live in fish and if eaten raw, can get inside of you. Freeze it for the required time, and you should be okay. Where do you buy your ‘Sushi Grade’ fish? Maybe at the link in the article, under where it says in bold “Where do I get sushi grade fish”.